Let’s never forget that time someone created a mod for GTA V that added the Samsung Galaxy Note 7 as an in-game weapon. This lead Samsung to reply with the most boneheaded moves ever (other than selling an exploding phone) wherein it filed a DCMA complaint against the video, causing YouTube to take it down for a period of time. This Batman-themed Galaxy S7 Edge is the only time I’ve ever been tempted to buy one of these pop culture-branded variants of a smart phone. 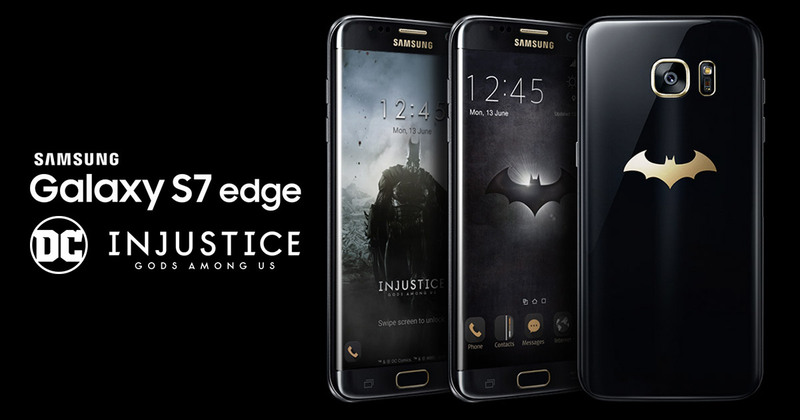 Fortunately, it looks doubtful that this will make it to the US (last year’s Iron Man-themed S6 Edge was only available in Hong Kong, China and South Korea, and it looks like this phone will have a similarly limited release).